A few years back, I had a career moment when I was invited to perform a song I’d co-written on the stage of the Grand Ole Opry. While, of course, I want to believe the song, “The Snow and Three Thousand Miles,” that I co-wrote with the evening’s performer, Mindy Smith, was well-written, it occurred to me that a large part of the reason I received this honor had only partly to do with the song itself. 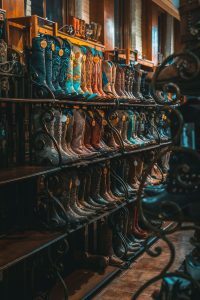 I thought I would list – and explain – some of the decisions I made and things I did in my career up to that point that culminated in my performance on the Opry stage. In the early 90s, I made my living doing what I affectionately refer to as “playing ‘Brown Eyed Girl’ for drunk people” in the San Francisco Bay Area. I made a good living but realized that if I wanted to truly grow as a songwriter and musician, I needed surround myself with like minded peers the way it works in an “industry town” like LA, New York or Nashville. 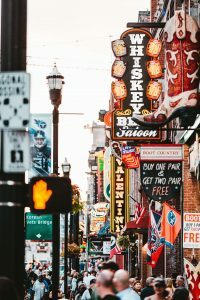 At the suggestion some friends in the Northern California Songwriter’s Association (now the West Coast Songwriters), I made the move to Nashville in 1993 and it was the single best – but always the easiest – thing I could have done for my music. So the reason I was even in the room to co-write with Mindy Smith has to do with “sweet little Brooke” who in the early 90s was the administrative assistant to my friend Jeff Cohen who was a highly placed exec at BMI in New York. Brooke always had a smile for me when I came to visit Jeff and it was easy to be friendly in return. Years later – like around 15 years later – “sweet little Brooke” was running the synch department for Razor and Tie music and had the kind of pull it takes to set me up on a blind co-write with an established artist like Mindy Smith. The music business is a long game and it pays to remember that. Songwriting isn’t easy. What is easy, however, is canceling a co-write. The temptation is always there and it takes extra effort to show up to a scheduled writing appointment focused and ready to go. It’s still daunting – even after having written songs for over twenty-five years – to think about sitting down and creating something out of thin air. That being said, honoring this particular – or any – writing appointment was well worth it. There’s nothing less musical or more tedious than staying current on email. That being said, when Mindy’s manager reached out about a possibility of an Opry performance, staying on top of my email and responding quickly was essential. The opportunity came up quickly and there were several back and forth emails about timing and scheduling that had I missed or put off, would have almost surely cost me my chance. There is a myth that musical talent is a gift and either you have it or you don’t. I’m of the opinion that a musical gift is only the beginning. I will tell you without an ounce of shame that I practiced that three minute song multiple times a day, every day for two full weeks leading up to the show. I had no desire to be anything less than 100% prepared given the daunting nature of the stage I was going to be playing on. I’m fully aware that there are times when all the effort and preparation in the world won’t result in the kind of opportunity I received. I’m also aware that if I hadn’t written a Christmas song with Mindy around the time when the Opry was putting together a holiday show, this wouldn’t have happened either. By the time December of 2016 came around, I’d written over a thousand songs and until then, I’d never been invited to play one on the Opry. I guess the expression “the harder you work, the luckier you get” might apply here. Having musical talent and writing well is a wonderful thing. However, I’ve observed that the talent and the songs themselves are the tip of the iceberg when it comes to having success in the music business. My experience tells me that it’s all the little, seemingly inconsequential things that add up to the great moments in a career. Such a great moment for you Cliff and I hope you have many more to share with us.